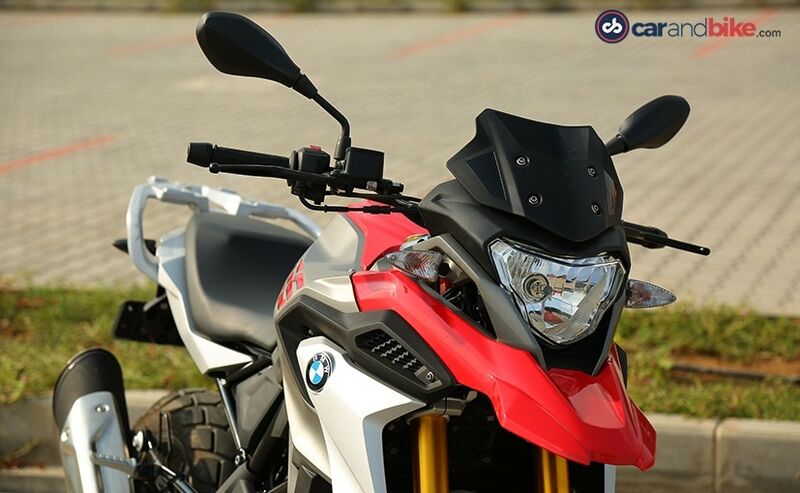 The BMW G 310 GS is the stepping stone into the BMW GS family. We spend some time with the 'baby GS', to see what it offers. The BMW G 310 GS aims to bring a lot of riders into the fold of BMW Motorrad's well-known GS family with a bike which is accessible, well-built, and looks the part of a true-blue adventure tourer. 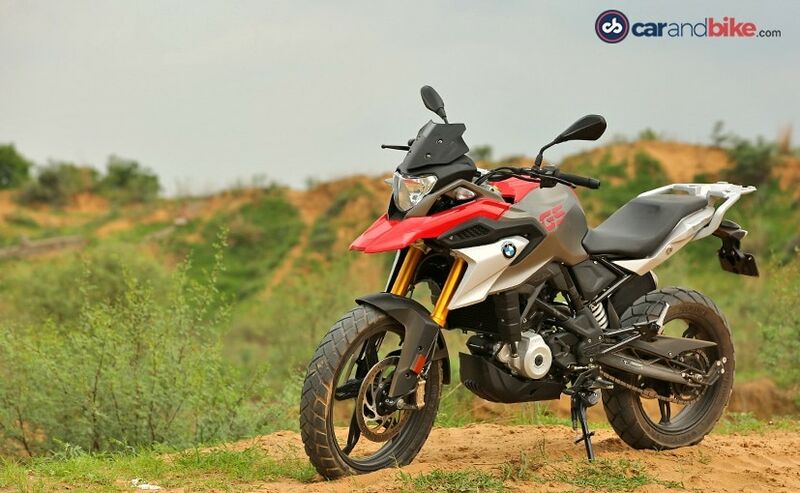 With qualities which make it equally easy to ride in the city, on the highway, and on the occasional gravel and rocky mountain road, the BMW G310GS promises to be the ideal upgrade for those looking for a capable long distance tourer, with respectable off-road capability. 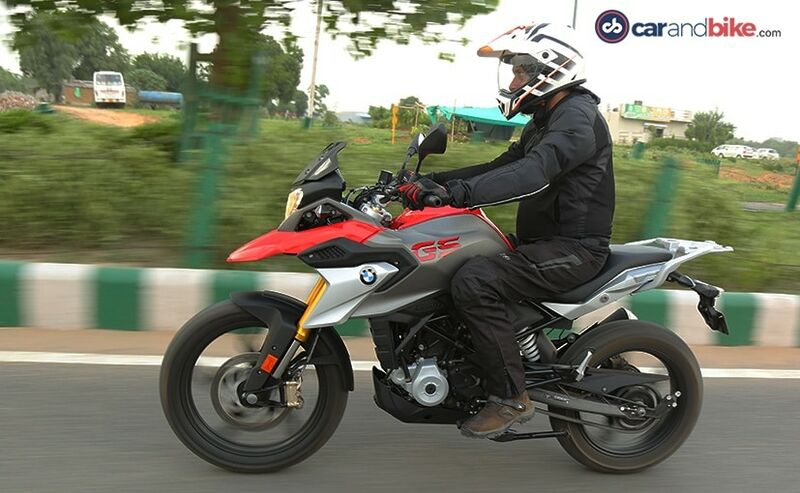 The most striking aspect of the G310GS is its design. At first glance, there is no mistaking that this is a GS. The typical front beak, muscular tank shrouds, the bold GS letters on the fuel tank, and the tall and imposing stance leave no doubt about its pedigree. And such is its presence that you may be fooled into believing that this could be a middleweight adventure tourer, rather than an entry-level adventure bike. 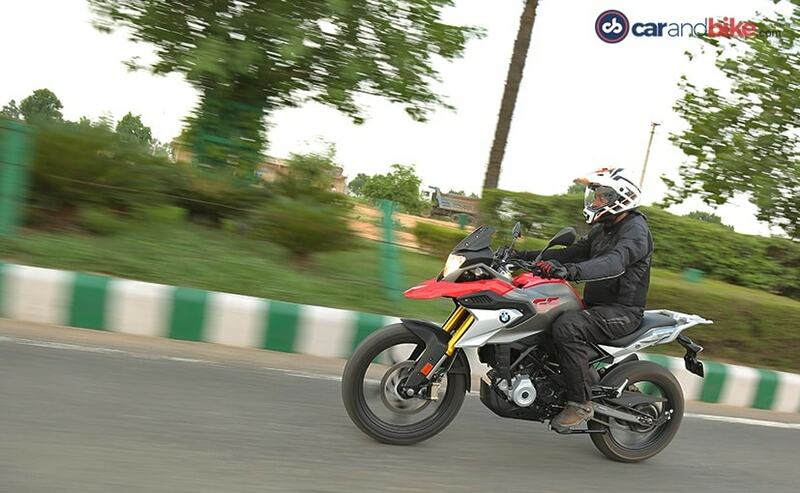 Like its sibling, the BMW G 310 R, the BMW G 310 GS is also made in India, and we are happy to report that it's built exceptionally well. Fit and finish is excellent, and it can give several middleweight adventure bikes stiff competition in design and styling. Yes, it's that good, and leaves an immediate impression as a well-built motorcycle. Also welcome is the standard luggage rack at the rear, although the plastic sump guard will need some reinforcing if you are serious about your adventures and are planning to traverse rocky riverbeds and the like. 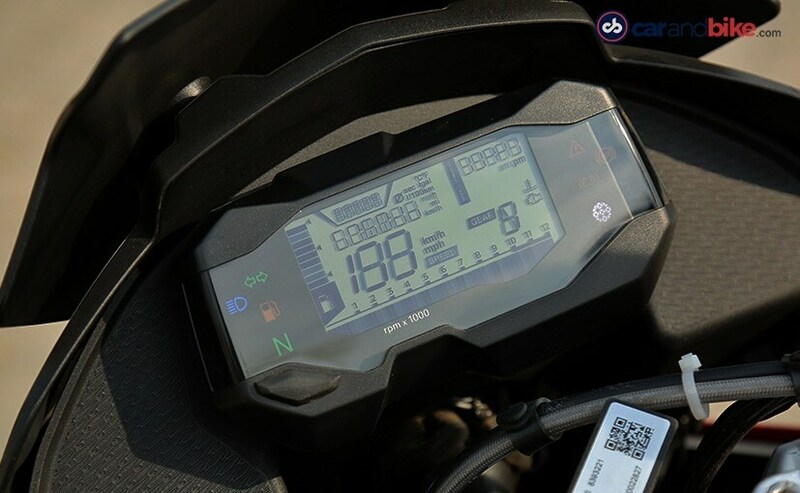 The digital dash is the exact same as the G 310 R, and with standard speedometer and tachometer, it also gives read-outs for a fuel gauge, gear indicator, trip meter and range. All that information is quite handy, but readability may be somewhat low, when you are concentrating on the dirt road ahead and there's direct light from the skies on the dash. Being a GS, even if it's the entry-level GS, a full-colour TFT screen would have been certainly welcome, and added more value to the features package. 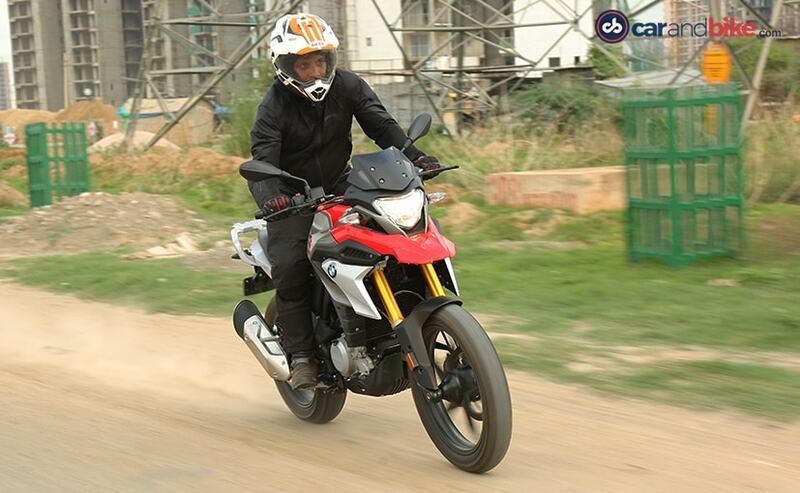 Performance of the G310GS is familiar, since it shares its engine with the G 310 R as well as the TVS Apache RR 310. It's not an outright pocket rocket, but more like the calm, strong and silent type. The best part is the riding position, and with the extra suspension travel and tall stance, you sit upright, and get a commanding view of the road ahead. It can cruise all-day at 120 kmph and the seat offers a comfortable perch for the rider, for long hours in the saddle. 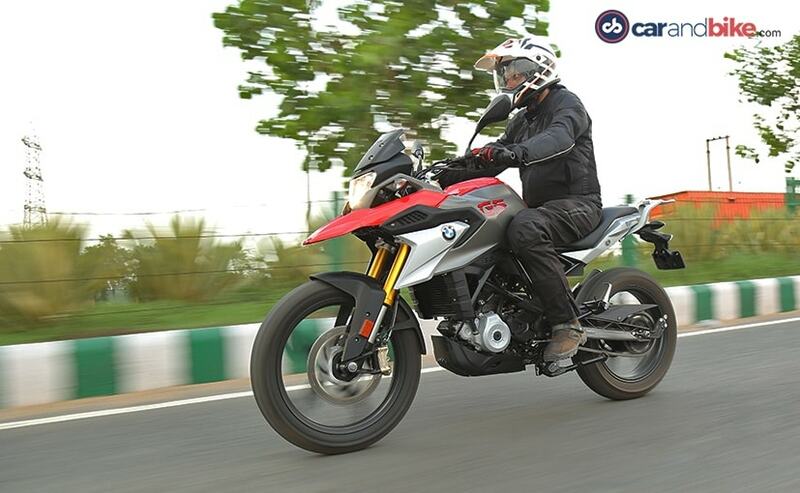 But we suspect before things get uncomfortable, you will need to take a break, because that 11-litre fuel tank will require a refill, sooner than the GS or its rider will need to recharge. 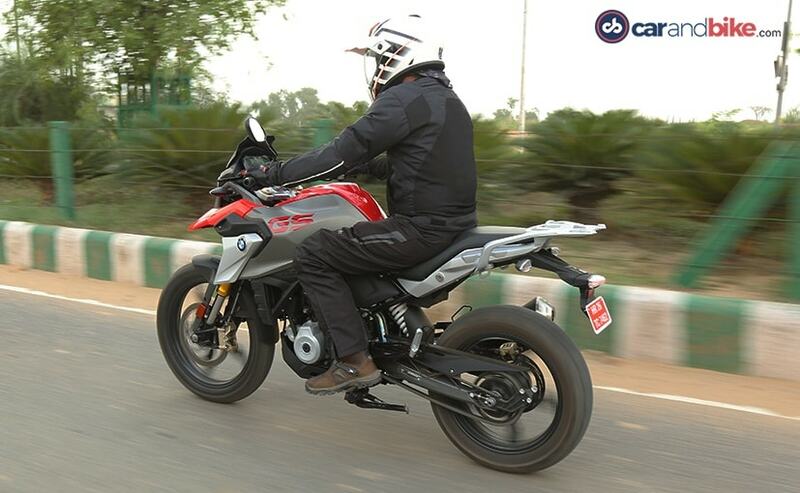 The 313 cc single-cylinder engine has the exact state of tune as its sibling, the BMW G 310 R, and it puts out 34 bhp at 9,500 rpm and 28 Nm at 7,500 rpm. The mid-range is strong, but on the downside you need to keep it spinning where the grunt is, and that could take away a bit of fun when you're riding off-road. Standing up on the pegs, and keeping the throttle open to get the torque kicking in will take some time to get used to, but it's not really a deal breaker. For most gravel and mud sections, the engine is likeable enough to get you out of trouble with a dose of your right hand, and working on the correct gear with your left foot. 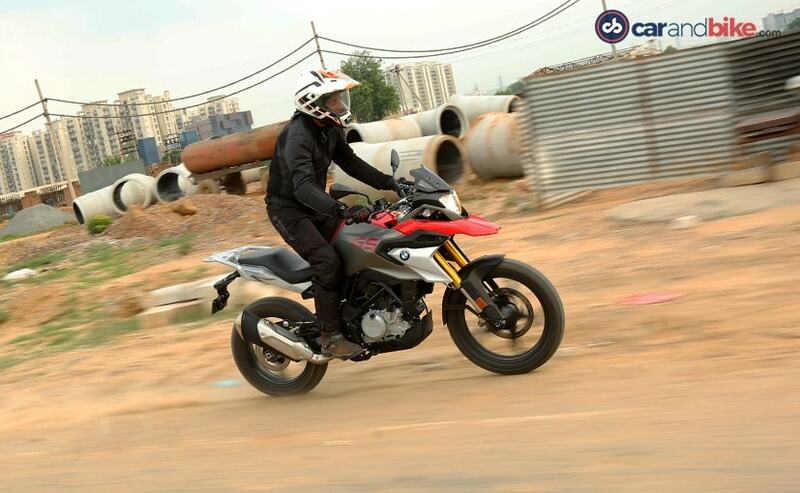 On everyday roads, the G310GS tackles almost all kinds of surfaces with ease, and glides over broken patches on the road and potholes without a care in the world. The suspension is the same as the G 310 R, but has increased travel, with 180 mm of travel at both ends. Together with the larger 19-inch front wheel, it makes for a completely different ride experience. The GS is stable, and despite its taller height, and more mass (169.5 kg kerb weight), it remains planted and handles with a level of precision that is immediately likeable. The adventure-spec Metzeler Tourance tyres offer good grip, as long as you know the limits of your riding and the terrain you're riding on. Our test track involved some deep sand, and with standard tyre pressure, we had some hairy moments, with the front washing out. But never for once dd the GS lose its composure or make you feel you're going down. Momentum is your ally, and this is where the exceptional stability of the bike makes an immediate impression. Brakes are solid, with good bite and progression, and the standard dual-channel ABS can be switched off for the rear wheel on the fly. More experienced riders will appreciate this feature, when the ABS can be easily disengaged with the press of a button to lock the rear wheel and slide the bike around in the dirt. The BMW G310GS certainly is a very good touring machine. And that is what most riders will be primarily looking forward to experiencing - long distances on the highway, and to explore some back roads when the tarmac begins to disappear. In that environment, the baby GS certainly will make an able companion with its superb ride quality and excellent handling. It's not a true-blue off-road motorcycle, but it's got enough qualities to make every ride an adventure, if you're willing to explore its capabilities, and yours. 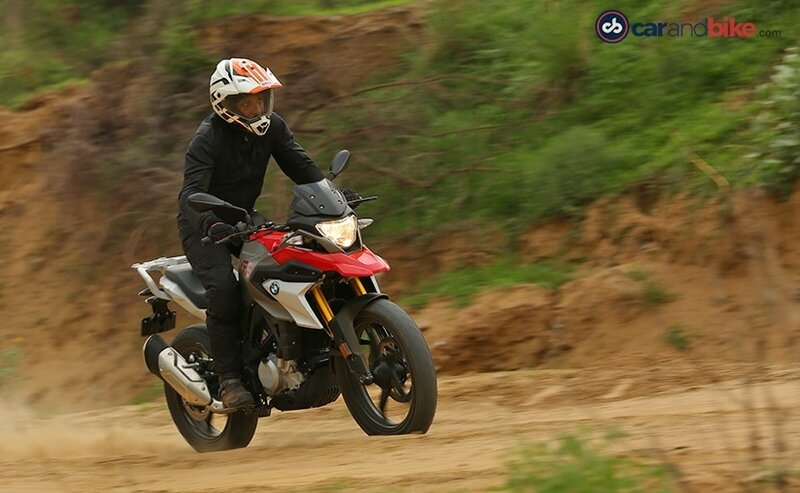 At ₹ 3.49 lakh (ex-showroom), it's not exactly the affordable adventure tourer, but that's probably a premium BMW Motorrad expects you to accept, to join the legacy of the GS family. So far, the BMW G 310 GS has no real competitor, apart from maybe the Kawasaki Versys X-300, but that's even more expensive than the GS. So, if you have the budget, and you're looking at upgrading from a smaller displacement motorcycle, or want to get into motorcycling, the G310GS certainly deserves your consideration. And if a two-wheeled adventure means nothing without a 'GS' companion, the BMW G310GS could be all that you need, as a stepping stone to start looking for new adventures.